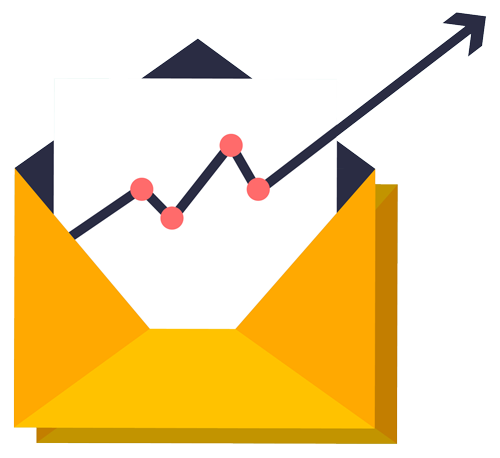 You’ve reached this page because either A) you want to skyrocket your email subscriber list or B) you want to figure out a way to automate your business—a little more—and you want to increase your revenue—a lot more. I get it, we all want that! Whether you’ve studied intently or you’ve only perused my free 30-day Email Marketing Training Series—and if you have no idea what I’m talking about, click here to learn more—surely you realize that in order to get started building your business online and generating a passive—or aggressive—income, you’ve got to start somewhere. And, that “somewhere” just so happens to be an Email List. Studies have proven, that 50% of your email list will be active—opens and clicks—which means that is a 50% chance of generating MORE income. And, in fact, 44% of email subscribers WILL purchase from you in a given period of time, which again is nearly half your list. Not to mention, marketing automation—aka email marketing—can increase conversation rates by over 50%. Furthermore, 7 in 10 people say they made use of a coupon or discount from a marketing email, and by 2016, the number of email accounts will reach 4.3 billion. That’s a lot of people! When someone signs up on your email list, they are giving you 100% permission to email them in their most personal online space—their inbox—which means they WANT you to email them with updates, special promotions, and such. If you’re still here, that means you want to grow your list, but you may need a little help with getting started. I’ve created an Email Marketing Starter Package that will get you set up on the right track to email marketing success. Email opt-in forms have long been proven to capture email addresses and increase your subscriber list, but email “pop-ups” have been proven to increase those email sign-ups by 1,375%! Whether you love them or loathe them, I will work with you to customize an email pop-up form that is fit for your business and appeals to your audience. You can view recent examples of my email pop-ups here. All that being said, you know you need to jump start your email marketing and you need to build your list. So, let’s develop the structure to get you set up for success! Below is a break-down of my Email Marketing Starter Package. Customized to fit the look & feel of your website—color, fonts, images, etc. See examples. Integrated with your current email service provider. If you don’t have one yet, we’ll set you up on your preferred provider. Pop-up timing can be customized to your choosing—On Load (immediate pop-up), On Exit (just before someone exits the website), On Scroll (when someone scrolls down the page) or On Inactivity (when someone has been inactive on your website, to wake them up!). Pop-up can be unobtrusive, centered or off to side. Thanking the user for subscribing to your list. Generating a warm ‘welcome’ to your business. Could include additional custom offers or call-to-actions. I’ll set up all of your custom email opt-in forms, which includes a pop-up form for your website, 2 additional opt-in forms strategically placed on your website (in case they close out the pop-up), AND I’ll work with you to create your first automated email—the “Welcome” email—to welcome your new subscribers and give them the warm fuzzies about your business. As of July 2015, it has now been reported that more users are using their phone (or tablet) to surf the web versus a desktop computer. 51% of adults are on their phone at an average of 3 hours per day versus only 42% of users being on their desktop computer at an average of 2 hours per day. AND, 80% of internet users own a smartphone, which means they are more-than-likely searching on their mobile device. The implications are clear—if you’re not providing a satisfactory mobile experience you will miss out on a vast majority of your visitors. So, let’s customize your website for mobile and add a mobile pop-up form that fits the screen and can easily be read from any sized device. Custom pop-up created for mobile, which is easier to read than the standard pop-up form. Are you ready to get started? If so, sign up now by selecting your package, and I’ll have you up and running in a matter of days. If not, email me here with questions. I’d be happy to chat with you to answer any questions you have or to help you determine if this is right for you. Need a payment plan? Click here to pay in 2 easy installments of just $197.50.